Recently, I have been accepted as one of the Into the Dark Series Ambassadors, and I will be sharing exclusive teaser content over the next several weeks. 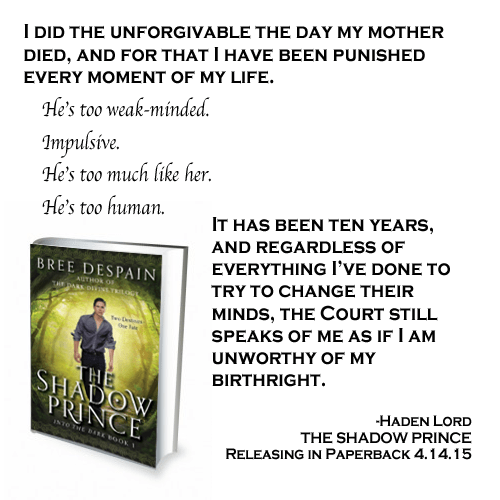 Today, I have an excerpt to share from The Shadow Prince by Bree Despain. You can visit Bree Despain’s website here and learn more about The Shadow Prince here.